Our classic, handmade Jumbo Train is made up of seven cars. 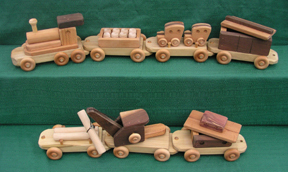 Each of the cars, constructed of mixed hardwoods, can be played with individually or be connected together by their pegs, in any order. We have the engine, which is one solid unit. 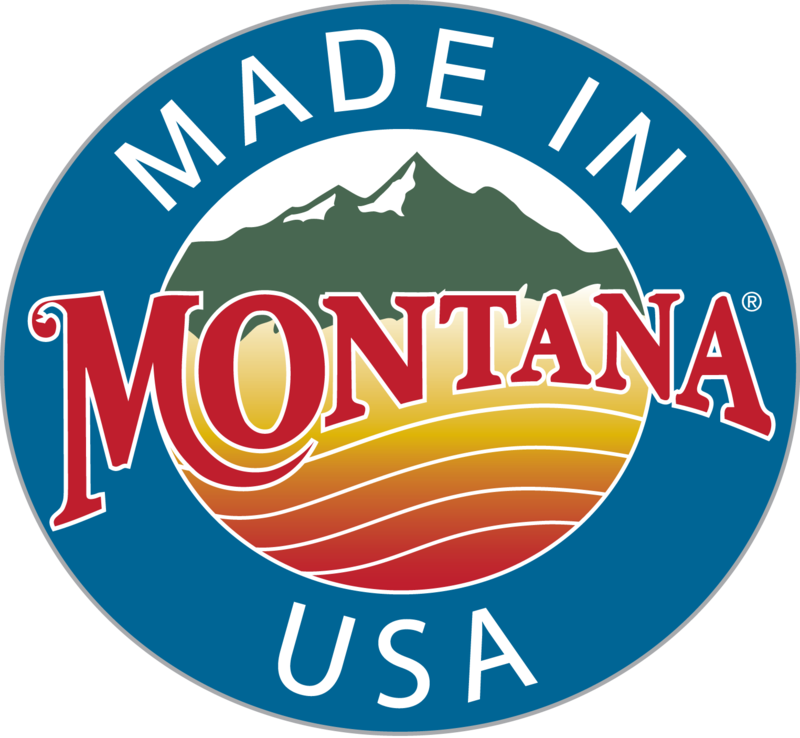 The gondola car contains removable barrels. Both the boxcar and caboose have fitted lids which cover compartments, which can cover “secret” cargo. One flat car has removable logs and the second flat car carries 2 mini cars. The crane car swivels, has an operational crank which raises and lowers its load, complete with a special lock to hold the load in place. All other pieces of the cars are permanently attached. The train features hardwood wheels for extra durability. This train is a perfect choice for an heirloom gift. Did we mention that the classic Jumbo Train looks spectacular just as a room decoration? This would be a special gift for the avid train collector! If you are looking for a smaller train, check out our handmade, classic Four Piece Train which is just 2 feet long!